Until Monday June 6, I had but a faint idea who The Melvins were. All I knew was that they’ve been around since the 80’s and their front man is a guy who sports a bitchin’ do. 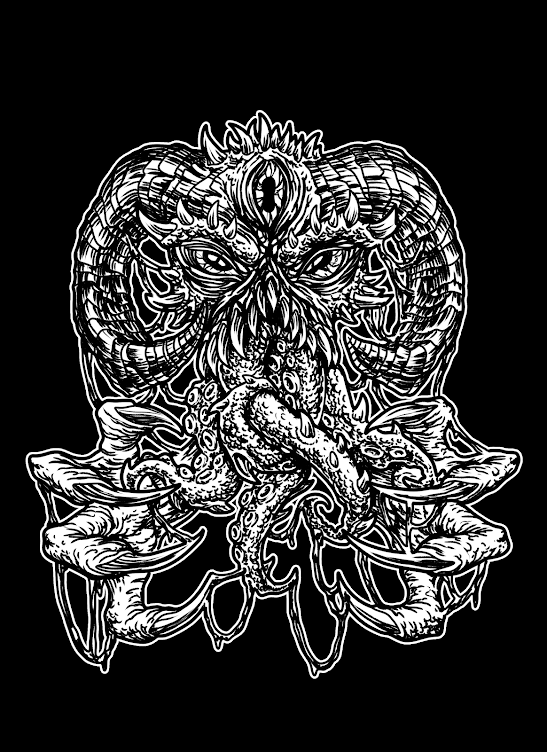 Aside from this, I know nothing about the band. So I got curious, how could I be so in the dark about The Melvins, a band with such a legacy and cult following? I may not have an answer to this question but I was prepared to shine a light on the band and did so by checking out their show in Amsterdam’s beautiful Paradiso last Monday, June 6th. So there I was. Monday night, pressed up against the stage. There was no support act, so when The Melvins started their set at 20.30 sharp, they had the double duty of simultaneously warming us up and knocking us down. Judging by the smirks smeared across their faces, Buzzo and company seemed to be up to the task. 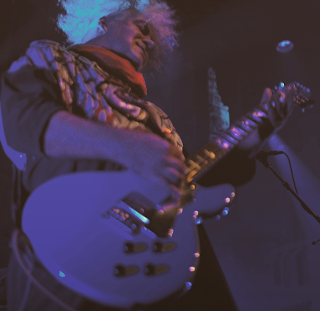 King Buzzo was clad in a robe with a psychedelic print of an eye on the front of it. With him was Steve MacDonald and Dale Crover, wearing t-shirts that read “Bass” and “Drums” respectively, just in case we forgot why they were there. The set opened with the downtrodden groove of “Eye Flys.” I have since learned that this song came out in 1987. 1987! They nailed it, by the way. The song sounded fresh. It was alive; there was energy to it. The Melvins certainly didn’t come across as though they were bored playing this song after some thirty years. In fact, the band looked like they were enjoying their time on stage to the fullest. 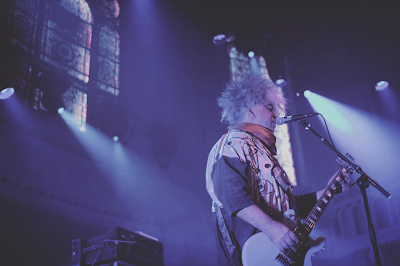 The Melvins were able to keep this energy up throughout. The band came at us like a freight train, laying down song after song, rarely giving the crowd a moment to catch its breath. Whether they were banging out the crowd favorites or taking tracks from their new album “Basses Loaded,” they stood there as a group of friends who are as creative as they are hard working. At times, the Monday night crowd did not return the favor. There was a lot of talking, certainly in the back, and very little paying attention. The Melvins therefore decided to play to those down in front, because that’s where the crowd was into it. There the crowd was moving, running back and forth to the bar, and were able to lose themselves in the sweaty, two-hour chunk of zany rock n’roll. The Melvins sold themselves to me, no doubt about it. The live setting certainly played a role in this. The volume knobs were turned up on Buzzo’s screeching guitar and Crover’s raw pummel and strange rhythms kept me interested. Because of this, I’ll be back the next time The Melvins swing through town. When that time comes, I’ll be one of those up in front spilling beer and singing along!